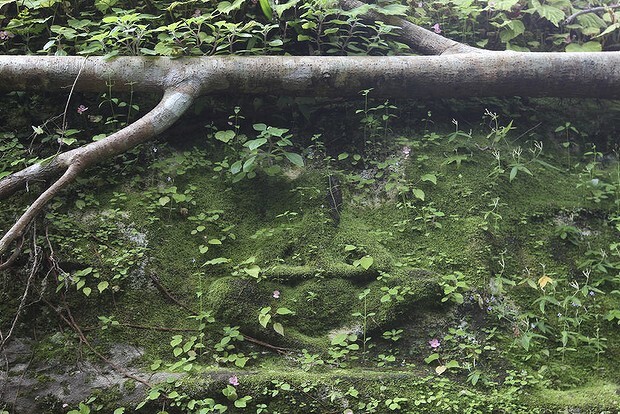 The stunning discovery of the city, Mahendraparvata, includes temples hidden by jungle for centuries – temples that archaeologists believe have never been looted. An instrument called Lidar strapped to a helicopter which criss-crossed a mountain north of the Angkor Wat complex provided data that matched years of ground research by archaeologists. The research revealed the city that founded the Angkor Empire in 802AD. Archaeologists in the Siem Reap region using new maps acquired using LIDAR have discovered an entire Angkor city where previously only a few isolated temples were known to be. The University of Sydney’s archaeology research centre in Cambodia brought the Lidar instrument to Cambodia and played a key role in the discovery that is set to revolutionise archaeology across the world. Archaeologists and exploration and mapping experts have uncovered more than two dozen previously unrecorded temples and evidence of ancient canals, dykes and roads using satellite navigation co-ordinates gathered from the instrument’s data. 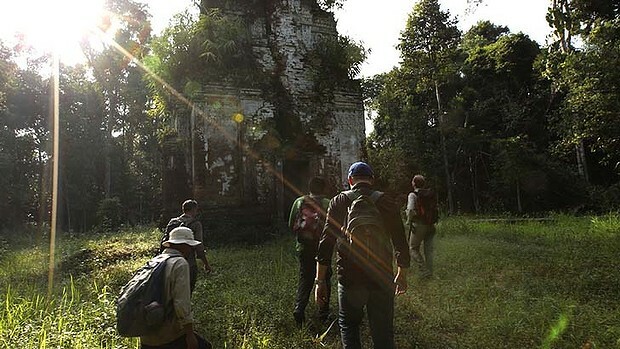 Fairfax Media recorded the discovery of the first five temples after pushing through landmine-strewn jungle, swollen rivers and bogs with the expedition on a mountain called Phnom Kulen, 40 kilometres north of Angkor Wat in north-western Cambodia. 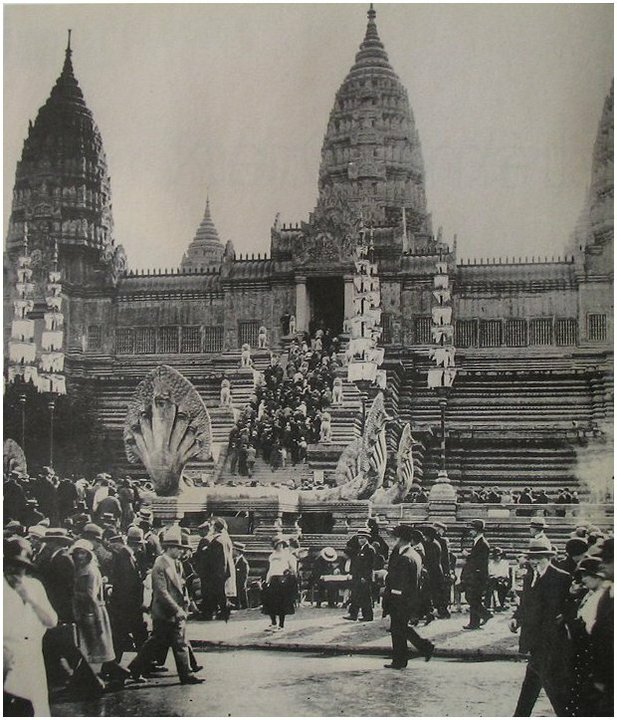 Mahendraparvata existed 350 years before Angkor Wat, the Hindu temple that has captivated interest across the world and is visited by more than 2 million people each year. In effect the Lidar technology peeled away the jungle canopy using billions of laser pulses, allowing archaeologists to see for the first time structures that were in perfect squares, completing a map of the city which years of painstaking ground research had been unable to achieve. The archaeologists were amazed to see that 36 previously recorded ruins scattered across the mountain were linked by an intricate network of gridded roads, dykes, ponds and temples divided into regular city blocks. Damian Evans, director of the University of Sydney’s centre in Cambodia, who was a co-leader of the expedition, said there might be important implications for today’s society. “We see from the imagery that the landscape was completely devoid of vegetation,” Dr Evans said. “One theory we are looking at is that the severe environmental impact of deforestation and the dependence on water management led to the demise of the civilisation … perhaps it became too successful to the point of becoming unmanageable,” he said. French-born archaeologist Jean-Baptiste Chevance, director of the Archaeology and Development Foundation in London, who was also a leader of the expedition, said it was known from ancient scriptures that a great warrior, Jayavarman II, had a mountain capital, “but we didn’t know how all the dots fitted, exactly how it all came together. “We now know from the new data the city was for sure connected by roads, canals and dykes,” he said. Over years Dr Chevance and his staff had crossed ancient roads and passed ancient structures they suspected were there but could not see because they were hidden by jungle and earth. The foundation’s exploration and mapping expert, Stephane De Greef, has now confirmed the location of almost 30 previously unidentified temples using the Lidar data. The discovery, to be published in the Proceedings of the National Academy of Sciences in the US, will prompt scientific excavation of the most significant sites by archaeologists seeking to discover what life was like for a civilisation about which very little was known, including why it was abandoned to the forest. It will also allow archaeologists and historians to learn more about the evolution of Angkor, the enormous political and religious empire that dominated most of south-east Asia for 600 years.